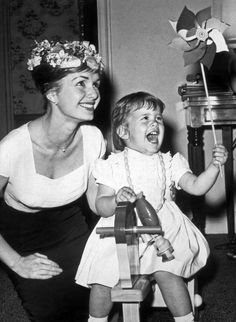 Debbie Reynolds was no stranger to a broken heart. Her marriages did not go as planned and she worked herself out of more than one financial hole. She was born on April Fools, which encourages a sense of humor. But today she has died. No parent wants to outlive a child, especially at 84. Carrie Fisher was a Libra, the opposite to Reynolds’ Aries Sun. These two women had very strong (if not easy connections). Opposites are dynamic and often attract. 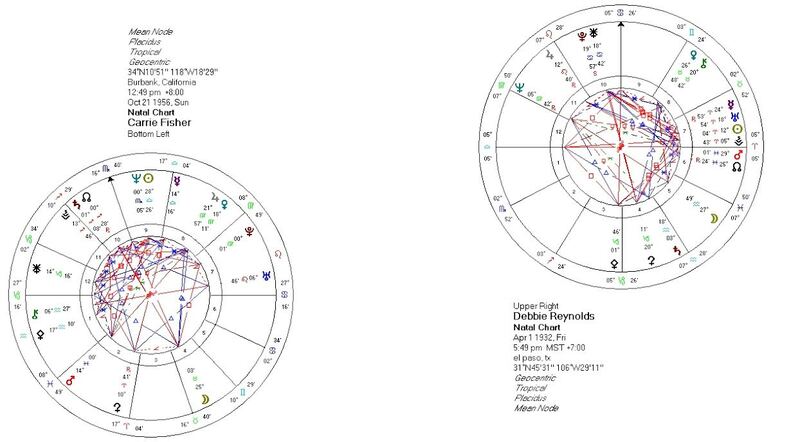 Although Reynolds did keep marrying, her independent Aries Sun had the planet Uranus in exact alignment when she was born (conjunction). Since Uranus symbolizes freedom and change, she really didn’t want to be “owned” by a man. Unfortunately, the men who attracted her probably projected that maverick quality, yet realized that she was the one who actually could scale the mountain and bring home the bacon. This independence is emphasized by her Aquarius Moon. The Moon sign shows what felt comfortable for her, in this case thinking out of the box. She needed a man who would intellectually challenge her, not expect her to be the movie glamour girl. Her Moon is at odds with her Venus in Taurus, wanting hugs and consistency. Fisher’s Moon sign in Taurus was in the middle of this war of independence within her mom. 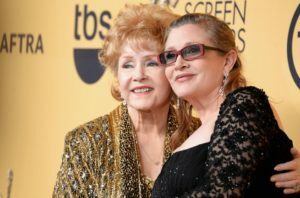 Fisher would say that she did not like sharing her mother with the public; the Taurus Moon child wants the exclusive physical embrace of the mom and might grudgingly share with a sibling — but fans? Postcards from the Edge, Fisher’s semi-autobiographical novel about recovery was written during her Saturn Return, which first happens when someone is 28-29. It’s a time to step up to adult responsibilities, which not everyone does with grace. Fisher did so with self-deprecating but unique brilliance. She had come through a reckoning rehab and found her voice. Once Fisher’s wit and clear voice crystallized, she could connect with Reynolds and see her objectively… although she needed a decade of distance first. 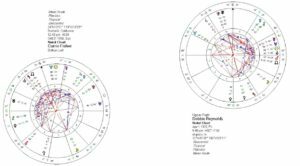 When Pluto, Ceres and the Moon are geometrically intertwined in a birth horoscope, the parent and child identify one another with identity/survival, above and beyond the storybook template. This usually “cooks” to a point of discomfort in the relationship, often resulting in an extreme move to separate the child from the parent. The ideal is for the child to come into her own power, so that she can share equal ground with the parent. Fisher explored all the pieces of herself, so that she was able to own her perceptions, without always foisting them on her mother as being the guilty party. This journey of brutal self-awareness which she took through writing was also ultimately love letters to her mother. As a true Libra, Love was the motivator for Fisher’s Art. Reynolds’ Aries Sun lands on Fisher’s Aries Ceres (which symbolizes the nurturing instinct). These two women came together to mother one another — and they had enough time to do so, even though the ride wasn’t always smooth. As someone who evolved in my relationship with my parents, I admired Fisher’s desire to do so with hers. 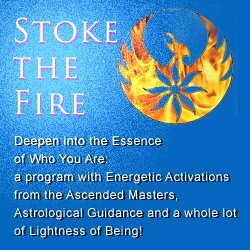 Although it can be extremely difficult, it begins with a lot of inner work. It is a privilege for children/parents who have a history of strained relationships with one another to live long enough to grow and understand how to connect. Of course, the will must be there to do so. As Fisher has written in many of her books, these women worked at it. Not everyone has that opportunity. At 60 years old, Fisher had accomplished a great deal. She left at a peak in her career, high in the sky. Uranus was the Sky god, the Great Awakener. As I wrote about the station of Uranus Direct, expect an upset. Even though a mother joining her daughter so soon into death is understandable, many of us are shocked. 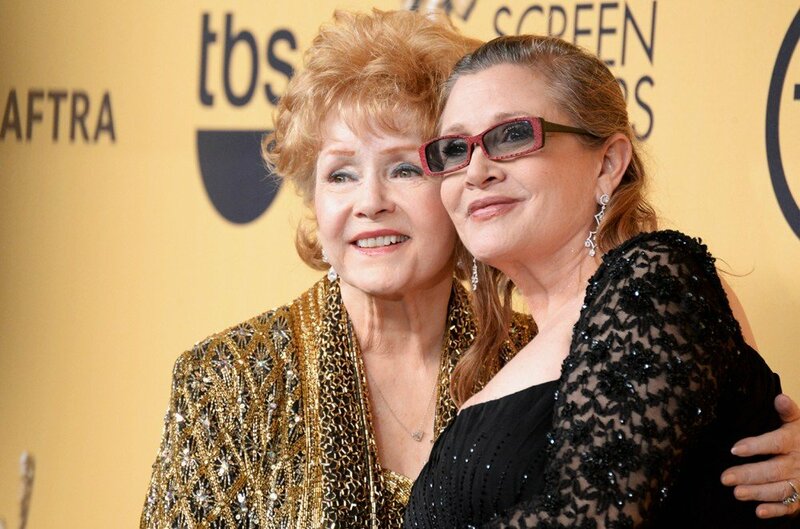 RIP Carrie and Debbie. Thank you both so much.